After a rocky end to 2018, investors are picking themselves up in 2019, but rather than deep-diving into the capital markets headfirst, they’re picking their spots and deploying capital more strategically. This is the case for all asset classes, whether it’s equities or fixed income. One of the challenging aspects advisors face with this more cautious investor is the plethora of options available, especially in the exchange-traded fund (ETF) space. Where are the opportunities in equities and bonds in ETFs given the current market landscape? 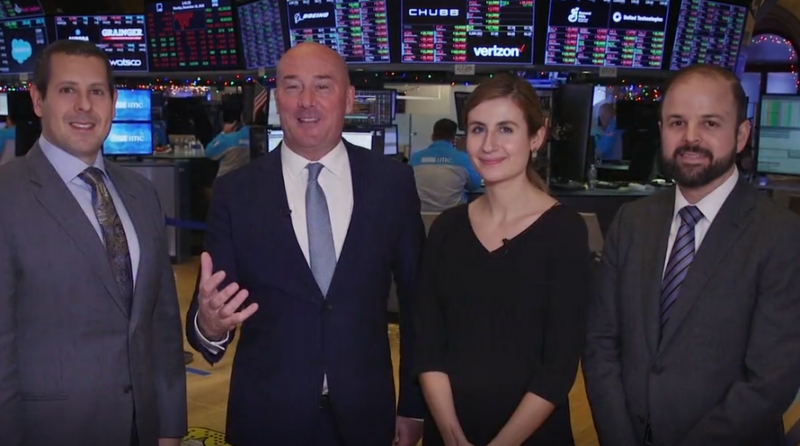 In the latest “In The Know” update, Samantha Azzarello, Global Market Strategist at JP Morgan ETFs, Douglas Yones, Head of Exchange Traded Products at the New York Stock Exchange, and Josh Rogers, Beta Specialist at JP Morgan Asset Management, discuss where these opportunities reside. As investors found out during the fourth quarter of 2018, volatility makes for a challenging environment in the equities market, but a safe-haven move to the fixed income market also poses its own challenges. One corner of the bond market that especially saw inflows was short duration bonds, but Azzarello also feels more duration can help shore up fixed income portfolios during times of volatility. “I think the appeal of short duration in 2018 is going to continue in 2019,” said Azzarello. “Being able to get a little bit of income on that short end of the curve—we still think that’s important. However, we’re also saying you need to have a little more duration in at least a part of the portfolio just to have a balance, just to have protection if volatility hits. The go-to bond play for broad-based exposure is the iShares Core US Aggregate Bond ETF (NYSEArca: AGG), which tracks the investment results of the Bloomberg Barclays U.S. Aggregate Bond Index. The AGG gives bond investors general exposure to the fixed income markets, but there are times when current market conditions warrant a deconstruction of the AGG. A strategic allocation into fixed-income should include investors looking overseas for opportunities. While it’s tempting to simply allocate capital into the domestic bond markets, investors shouldn’t ignore the international credit markets, especially with countries like China becoming less stringent with respect to foreigners accessing their once hard-to-penetrate markets. In addition, certain areas overseas may be earlier in their market cycles compared to the U.S. so issues like rate risk are not yet a concern. Additionally, bond markets overseas could provide more competitive yields when compares to those of the U.S. where a credit risk in a late market cycle could pose a concern. The move to bonds in 2018 was seen as a defensive move to hedge further rate risk after four increases in the federal funds rate by the central bank. Despite the Fed taking on a more dovish tone as it preaches more patience with respect to interest rate policy in 2019, investors are still opting for more exposure to fixed income. New fixed income investors must be aware of the nuances before entering into this unique space with plentiful opportunities. With the fixed income market going through its own growing pains, investors need to know where the growth lies and how to position their portfolios to capitalize on these forthcoming changes. One of the inherent benefits of an ETF is its ability to be bought and sold quickly like individual stocks. Mutual funds simply can’t be traded at the requisite speed of ETFs that short-term traders desire–especially when trading fixed income. ETFs also provide daily disclosure so the investor knows which holdings the fund has, giving it an added layer of transparency over mutual funds. This also applies to prices where ETF investors can simply obtain accurate pricing from the exchange where the ETF trades. At the New York Stock Exchange, the focus is on more transparency and expediency, such as the publishing of closing prices. The NYSE is using the help of mathematical algorithms so that investors and issuers alike know the exact price of an ETF at a specific time. As a result of 2018’s bull market run, the quality factor often goes overlooked compared to growth and value, but with market volatility still a primary consideration and many investors favoring defensive sectors, quality stocks and the related ETFs are worth examining in 2019. One ETF in particular that captures the essence of value investing via quality is the JP Morgan US Quality Factor ETF (NYSEArca: JQUA), which tracks the performance of the JP Morgan US Quality Factor Index. For an overall value play, Rogers recommends investors look at the JP Morgan US Value Factor ETF (NYSEArca: JVAL), which tracks the JP Morgan US Value Factor Index. 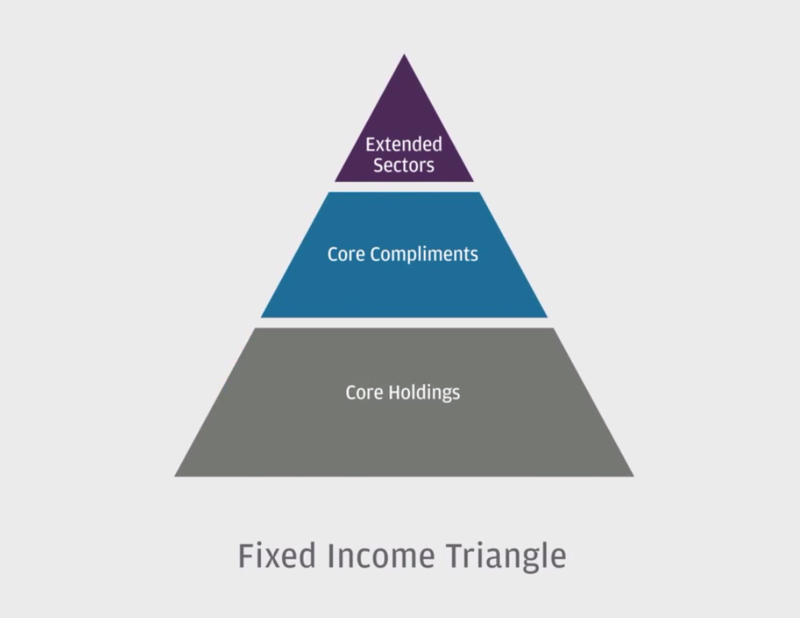 When it comes to building a fixed income portfolio, Rogers cites the “Fixed Income Triangle” as an exemplary framework investors should follow in order to extract the most out of these portfolios. Investors can look at actively-managed funds like JP Morgan Ultra-Short Income ETF (BATS: JPST), which can serve as a flexible tool during times when rates are decreasing or rising. The floating rate component of bonds in JPST’s debt portfolio would effectively hedge against interest rate risk and capitalize on any short-term rate adjustments the Fed decides to make through in 2019. The AGG gives bond investors general exposure to the fixed income markets, but there are times when current market conditions warrant a deconstruction of the AGG to extract maximum investor benefit–one way is through factor-based methodologies inherent in the JP Morgan US Aggregate Bond ETF (NYSEArca: JAGG). “We believe that using value, quality and momentum within issuer quality for corporate (bonds) can make a world of difference,” Rogers added.